Any surgery involves risk to the patient, but this is especially true for procedures that involve the central nervous system (brain and spinal cord) and peripheral nerves. It is now possible to monitor the central nervous system during surgery through a process called Revolution Monitoring (IONM). This helps to ensure patient safety as well as provide valuable real-time guidance and feedback to the attending physician. Because of the success of IONM in improving neurosurgical outcomes, Revolution Monitoring is now used for many other types of surgeries as well. We come into a surgery to monitor your nervous system. We are a tool for the surgeon to know how your nervous system is working. We can detect a possible bad outcome before it happens and recommend intervention to give you (the patient) the best possible outcome. Often times, we can detect complications and repair them before they become a real problem. This reduces the potential for further surgeries. We can let the surgeon know where it is safe to place instruments and make cuts. We also work closely with anesthesiologists to ensure you (the patient) stay asleep and also ensure you do not lose limb function from as a result of the way you are placed on the operating table. Revolution Monitoring is proud to work with celebrated physicians across the United States. Over the course of the next several months, we will feature physicians talking about how they utilize Revolution Monitoring in their operating rooms. After all, the best people to answer the question “what is monitoring?” are the physicians that utilize our services. 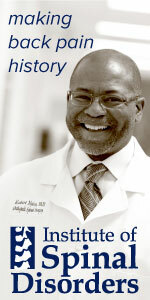 Our first featured physician is Dr. Robert T. Myles, FAAOS. Dr. Myles is an orthopedic spine surgeon based in Dallas / Fort-Worth, Texas. Although Revolution Monitoring (IONM) is appropriate for many types of surgeries, Dr. Myles focuses on his experience as a spine surgeon.